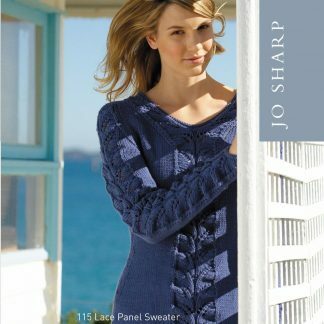 A sweater with leaf panel on the center front and sleeves. This cozy, cotton sweater has fitted shaping and a v-neck. Knit up in cotton, this sweater can be used with any Aran weight yarns.